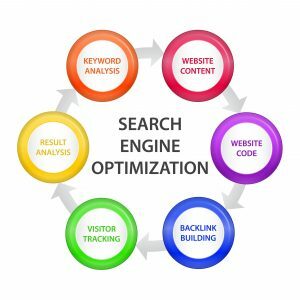 Advanced SEO techniques are new and progressive methods that make use of sp ecial tools and expertise. Some of them are more of strategies than short term techniques. They are very useful in increasing traffic to a WordPress site or any other blog. Today`s successful blogging requires advanced tactics that drives traffic to the site and improve search engine rankings. WordPress SEO offers the best content management system. However, just like any other page, optimization is necessary for one improve rankings and gain more subscribers. Below are one of the best advanced SEO techniques. Well-designed landing pages can improve traffic and sales on one’s website. More landing pages provide gateways to more search traffic. Apart from the homepage, the lading page is where relationships are initiated. Creating landing pages can be done by Copyblogger Media which creates high-end landing pages on popular topics. The user also gains access to professional layout and graphics. These pages drive traffic, links and authority to the web page through content marketing and press release. Deep linking is the use of anchor text to link other pages inside your blog or web page. This helps in showing Google or any other search engine the depth of the page. Most people focus on getting traffic to their home page but languish in internal page ranking. This technique can pull traffic even with older blog posts and few landing pages. The internal linking should be done frequently. It is even better to interlink pages rather than the homepage. This will improve SEO value for those internal pages while improving search rankings even with tough keywords. However, it is recommended to check how many inbound links go to the homepage compared to other pages. This is the main method of adapting to Google algorithm updates in order to thrive in search results. LSI is one of the factors considered while ranking webpages. It is an indexing and retrieval technique that uses a mathematical formula to identify patterns in any given paragraph or text. Google or any other search engine crawls the content in the webpage to identify and correlate words and phrases as additional keywords to those pages. LSI is a co-occurrence tool that finds synonyms for keywords thus helping Google understand a specific topic and its relationship to the search query. This provides a tremendous improvement in search rankings. This involves getting things done for the WordPress or any CMS SEO. Being active on authoritative platforms can generate more traffic and improve rankings while building a new fan base. This is a very useful technique for new web pages since most of them are difficult to rank in Google for high volume keywords. This is because the Domain Authority and Page Authority are still very low. Leveraging bigger social platforms provides an amazing solution. These authoritative platforms are sites with millions of daily visitors which rank for any keyword they target. They are not the ordinary Facebook, LinkedIn or Twitter which only lead to engagement. These ordinary social platforms don’t affect SEO ranking directly. The right social platforms for SEO are sites like Docstoc, Blogger, Slideshare, Quora and more. These improve search rankings, as well as build following within a short period of time. Increasing search traffic involves requires taking care of opinions from the masses. Google do not advertise instead they get data from users and use it to build a better system. Similarly, one needs to focus and get data form target users. The content created should be based on the product and service feedback from the users. Increasing webpage traffic involves employing many advanced SEO techniques. These tactics among others, enable the user to optimize their webpage or blog to increase traffic and improve search rankings. They are complimentary with the utilization of powerful WordPress plugins like Yoast SEO, Ultimate SEO and All In One SEO. Success in marketing depends on the ability of availing information to people who are searching for it. These advanced SEO techniques require more effort than basic keyword search and link-building. But their results are very rewarding.